Gboard, Google’s official mobile keyboard, is rolling out a new version that adds a feature that was previously included in the beta version of the app. The new version will allow users to add stickers and Bitmoji to their chats when they tap on the emoji button. In order to use these new features, Gboard owners will also have to snag sticker packs from the Google Play Store, along with the Snapchat-owned Bitmoji app. 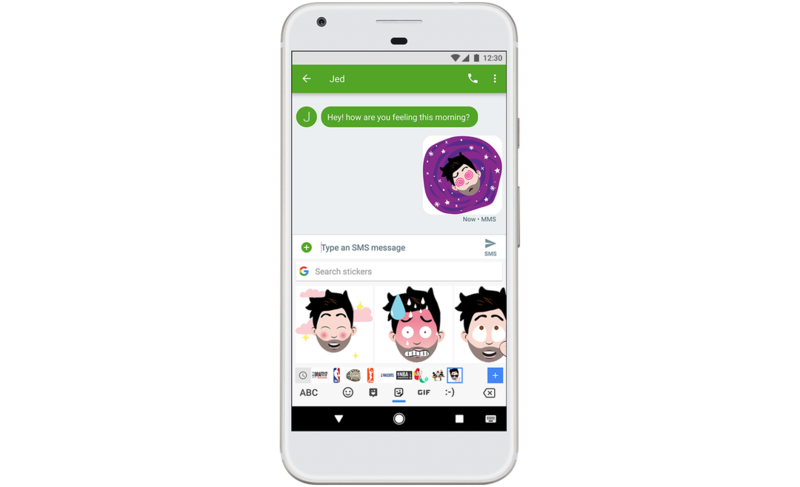 Then, if you want to access these new images when you chat with family or friends, you just tap Gboard’s emoji button, and then either the sticker button or the Bitmoji button. After that, you can search through the available stickers or Bitmoji and pick the one that you like the most. Google has also signed up a number of major pop culture licenses for its sticker packs, including Star Wars, Disney, the NBA, Hello Kitty, Garfield, Power Rangers, and more. Of course, Google will add even more sticker packs for Gboard users in the coming weeks and months. You can search and add new packs from the Google Play Store, or you can simply tap on the “+” button when you’re in the sticker tab of Gboard to find new packs directly from the app.